Thousands of holidaymakers have signed a petition insisting that Paris’ Disneyland needs major investment as it is in decline. The petition insists that the maintenance of hotels, parks and attractions has been neglected so often in these 20 years that most of the facilities are not ‘Disney standard’ anymore. Signed by more than 5 000 people and translated into 6 languages, the petition adds that many themed elements are crumbling and decaying while a few are literally falling apart. A Belgian, Guillaume Gallant who launched the petition insisted that on a recent visit, he found attractions closed and 4 live shows were cancelled. Last year, a record 16 million people visited Paris’ Disneyland. Mr. Gallant said that this year, the lack of live entertainment reached a ‘critical point’ as it was the first summer season without a single stage show at the park. Many Britons supported him, and Jake Howarth, from London, said that he has long been a visitor to Paris’ Disneyland, and the last few years have seen a steep decline in a number of things. Tim Nightingale, from Chatteris, Cambridgeshire, said that he expects value for money and having stayed there numerous times he feels the value has dropped with each consecutive visit. A spokesperson of Disneyland Paris said that the management is dedicated to ensuring that the resort offer each of its guests a magical experience and that they take guest comments very seriously and adopt them to help evaluate their processes and procedures. 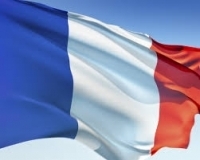 For more information on France follow us on Facebook.